The tweet followed President Trump’s meeting on Saturday with about 180 bikers who are part of a ‘‘Bikers for Trump’’ group. Trump has lashed out more than a half-dozen times against the Milwaukee-based maker of the iconic motorcycles after praising the company early in his presidency. The relationship flipped after Harley announced plans earlier this summer to shift production of bikes destined for Europe to overseas facilities. It acted after Trump’s administration imposed steel and aluminum tariffs that promoted retaliatory measures from the European Union that Harley-Davidson said would increase its costs by $2,200 for each bike shipped there. Harley doesn’t sell motorcycles in the US that are built overseas, and the company has said that won’t change. On Sunday, it referred to comments by chief executive Matthew Levatich in an interview with CNBC July 30. Levatich said then that Harley-Davidson prefers to supply customers around the world from the US. Still, it has set up manufacturing internationally over the last two decades because trade and tariff restrictions in certain markets may make them prohibitive, and the company may lose access to some customers based on price, according to a transcript of the interview. 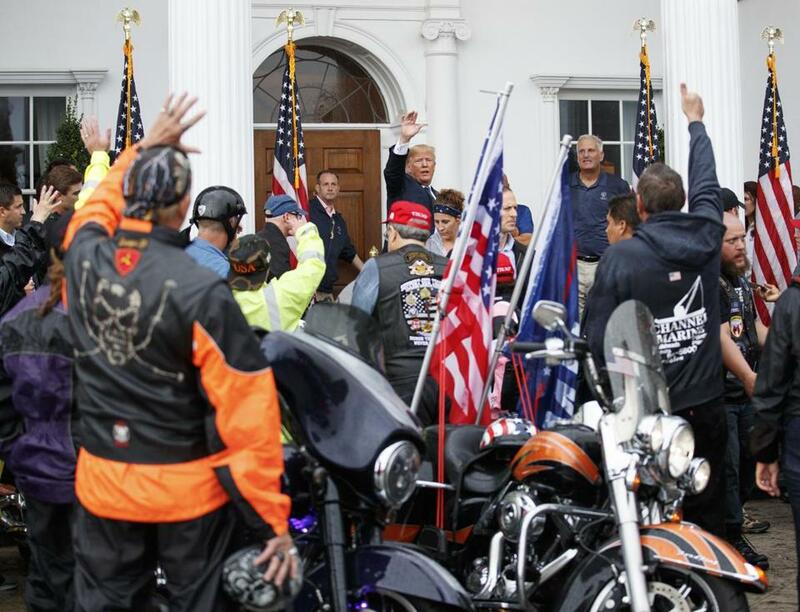 Trump’s pronouncement came a day after he welcomed biker supporters to his golf course in Bedminster, N.J., and a New York Times article cited some Harley-Davidson owners criticizing the company at a rally in Sturgis, S.D.